The eruption of Tambora, 5-12 April 1815, was the largest in recorded history ejecting some 150 km3 of material into the stratosphere. The mountain is estimated to have been 4,300 ms high before the eruption making it the highest volcano in Indonesia at the time; it is now 2,722 ms at its summit. Some 75,000 people perished from the eruption and subsequent famine in Sumbawa and Lombok. The eruption impacted global weather. 1816 was ‘the year without summer’ in Western Europe when temperatures dropped, crops failed and famine prevailed. The resulting caldera is about 7.5 kms across and 1,500 ms deep. Standing at the rim of the caldera is like being at the Grand Canyon. To witness the site of the ‘largest eruption in recorded history’ is an extraordinary experience. The trip takes at least four days, with two days of travel, and two days/one night on the mountain. The climb takes about 10 hours for those of reasonable fitness. 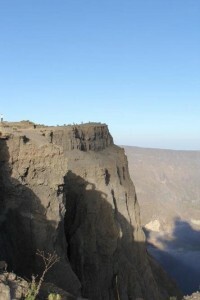 The trek is about 18 km from trail head to caldera rim and about 2,000 ms vertically. Although the incline, on average, is reasonable, the track becomes much steeper towards the rim. Reaching Tambora has become much easier since the road from Bima to the village of Pancasila (near the trail head) has been improved. 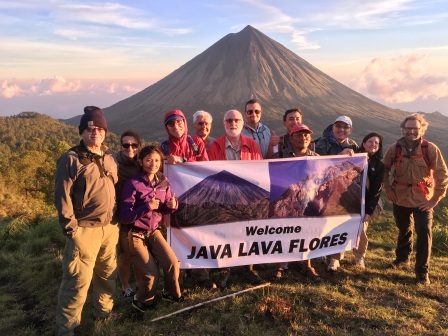 On earlier trips, Java Lava would fly to Lombok, bus/ferry to Sumbawa, then go by fishing boat to Calabai and, finally, a truck to the trailhead. Day 1: Lion Air/Wings from Jakarta to Bima via Denpasar. Wings has a 15 kg weight limit for checked luggage – keep your checked luggage (porter pack) to 15 kg. From Bima, local transport to Pancasila near the trail head. Buy bottled water en route. Gas canisters are unlikely to be available locally; bring another type of stove that can be carried on a plane. 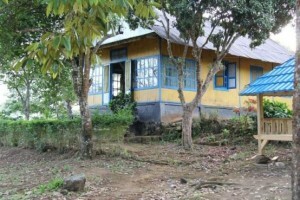 At Pancasila, motorbikes (about 20 minutes) through the coffee plantations to the guest house. There are limited beds; some people mayhave to camp in shelters nearby. Day 2: After an early breakfast, meet our guides and porters, sort porter packs, etc., and start the long trek to the caldera rim (about 10 hours). The path maybe overgrown in places especially after the rainy season. Leeches and stinging nettles may be encountered along the way (but not a bit issue!) – long sleeves and trousers recommended. There is running water at Pos 3 (about half way up). Subject to the weather, camp on the wide caldera rim where there are sheltered sandy areas. Otherwise, camp at Pos 5, about an hour below the rim. But if there are other groups here, space is limited. While waiting for the porters to arrive, a couple of hours can be spent before sunset exploring the rim, and enjoying one of the most impressive caldera in the world. 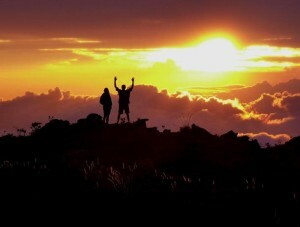 The true summit (2,722 ms) is marked with a cairn and flag and can be reached in about 45 minutes. A descent into the caldera is possible but involves 2-3 days with technical climbing. 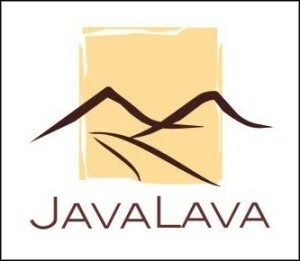 Wolfgang Piecha, a long-time Java Lava climber, and Rik Stoetman made the descent in 2012. 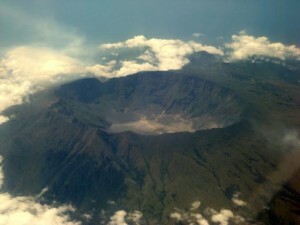 See their video: Descent into Tambora . Day 3: descent is by the same route and takes fast hikers 7-8 hours. But even if you are slow it is not a big problem as the last few kilometers are through coffee plantation tracks. Just make sure that you have all your survival gear including a torch to see your way down in the dark, and, warm clothes/rain protection in the event that you are forced to camp in the forest. Day 4: return to Bima for Wings flight to Denpasar. If this flight is delayed, the connection to Jakarta may be missed. But don’t worry – we usually get home eventually with patience and perseverance after an exhilarating trip. Suitability: not difficult but a long and tiring climb from the guest house to the rim in one day; sound fitness; not suitable for families and children.